Würth can provide a cleaning product for all your shop needs. Our Würth Brake and Parts Cleaners are highest quality and best value with a full 19 fluid ounce can. They are also available in several formulations to meet your environmental requirements. 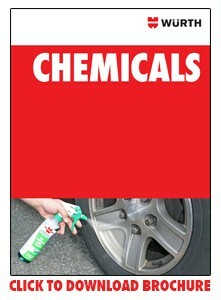 Würth Rubber Care Spray is an exlusive and unique solution to rubber and plastic parts care and cleaning.